Camri Anderson is a new member to the Crimson J writing staff. She is a senior this year and is involved in numerous activities within JHS and in the community. 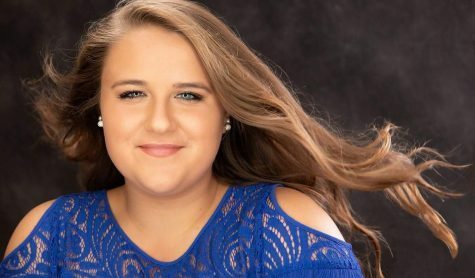 Camri is on the varsity tennis team this year along with being a REF Coordinator, an active Student Government member, and has been seen on stage for the fall plays and spring musicals. She can also be seen at Lincoln and Washington schools teaching dance with Jan Ryan. When Camri isn’t doing those things, she is watching Jane the Virgin, The Bold Type, or anything related to The Bachelor. She also has a love for Crocs, showtunes, and pizza. Camri’s plan after high school includes getting a degree in musical theatre. After pursuing her master’s degree, she plans to perform on a cruise ship. Camri is so excited to be writing this year for the Crimson J !